Each of us is an epitome of the past, a compendium of evidence from which the labours of the comparative anatomist have reconstructed the wonderful story of human evolution. We are ourselves the past in the present. This year’s inaugural New Zealand Archaeology Week (1-7 April) offers an opportune moment to highlight some of the Hocken’s archaeology-related taonga. 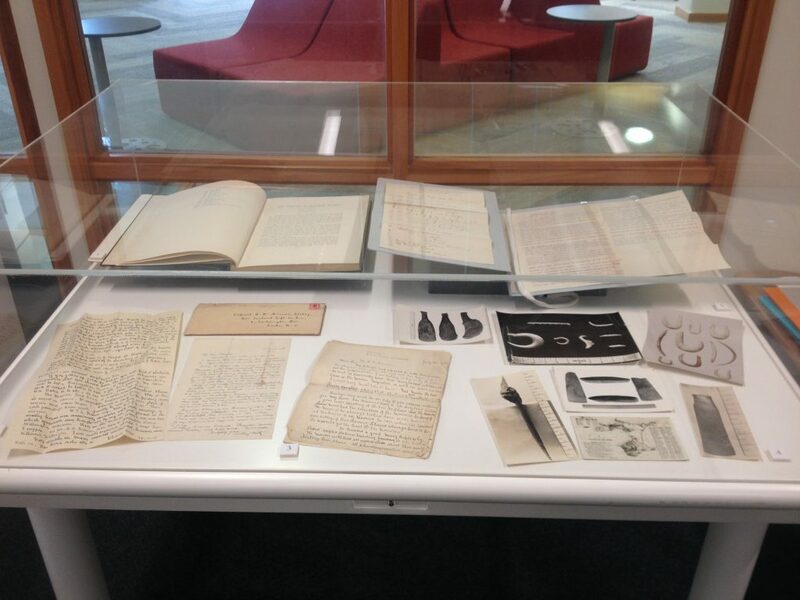 Examples include the Otago Anthropological Society Records (1960-1983), Anthropology Departmental Seminar flyers (most dating to 1997), and a wide variety of archaeological reports, notebooks, diaries, letters and photographs including papers of David Teviotdale, Peter Gathercole and Atholl Anderson. More recently, our collections have been enhanced by the ongoing contribution of local archaeologists such as Drs Jill Hamel and Peter Petchey who regularly submit their archaeological reports, for which we remain deeply grateful. One of our largest collections relating to the world of archaeology and anthropology are the Papers of Henry Devenish Skinner (1886-1978). At 3.14 linear metres in size, this collection comprises folders full of handwritten research and lecture notes, letters, photographs, scrapbooks and newspaper clippings pertaining primarily to Skinner’s archaeological, anthropological and ethnological work with the Otago Museum and the University of Otago, and also to his school days and military service. It includes personal correspondence detailing the collection of Māori artefacts, letters with Elsdon Best, S. Percy Smith, Willi Fels, and other notable anthropologists and collectors. Skinner’s papers also include a significant series of subject files relating to not only Māori and Pacific archaeology but also to that of Africa, Europe, the Mediterranean and the Middle East. H.D. Skinner is fondly remembered as the founding father of New Zealand Anthropology. He is particularly known for his development of the Otago Museum, for his pioneering work on the archaeology of the Māori and for his comparative studies of Polynesian archaeology and material culture. He was the first Lecturer of Anthropology in Australasia, appointed Lecturer in Ethnology at the University of Otago in 1919 (where he lectured until 1952). He was appointed assistant curator of the Otago Museum in 1919, later becoming Director of the Museum from 1937 until 1957. Skinner was also Librarian of the Hocken from 1919 until 1928. Much of the collection expansion in the Otago Museum, and the importance placed on the collection and display of Māori and Polynesian artefacts can be attributed to him. He also expanded the Hocken’s collections, most notably in New Zealand paintings and drawings. Skinner’s research on the Moriori represents a milestone in the history of Polynesian ethnology as the first systematic account of material culture of a Polynesian people. He set new standards in description, classification and analysis, and he demonstrated how ethnological research could contribute to important historical conclusions. Professor Atholl Anderson, Honorary Fellow of Otago’s Department of Anthropology & Archaeology, describes Skinner’s analyses of Māori material culture as prescribing the method and objectives of the discipline for over 50 years and his teaching as inspirational for several generations of archaeologists, especially in southern New Zealand. Photos of Chatham Island artefacts in ‘Moriori Photos’ (n.d.), Skinner, Henry Devenish Papers, Hocken Archives Collection, MS-1219/168. Stone patu, bone fishhooks, blubber cutter, stone adzes and postcard map of Chatham Islands. The Hocken whānau is sad today to be saying farewell to Anne Jackman. 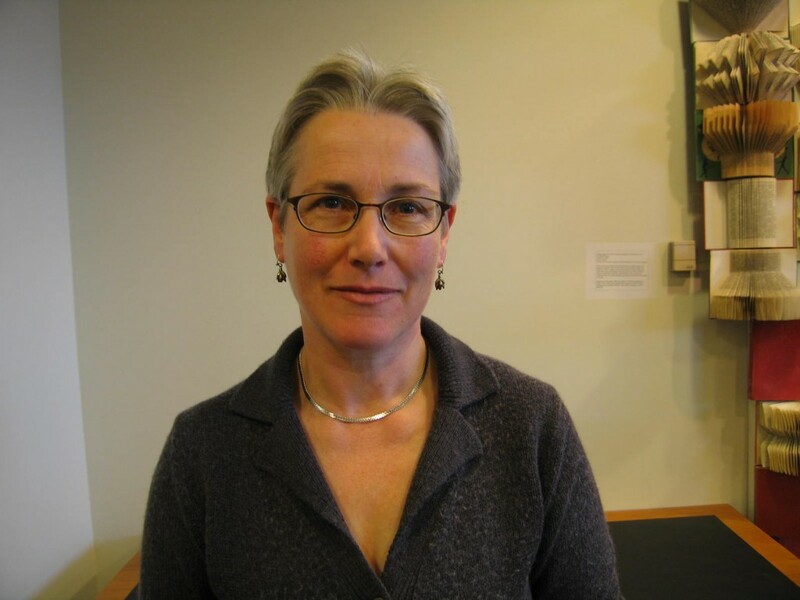 As well as being an exceptional Reference Librarian and Hocken ambassador since 2001, Anne has been an outstanding manager, mentor, advocate and friend to many former and current staff members. Well-regarded for her ability to deal with any situation with grace and good humour, we have relied on her – we hope not too much – for her organisational skills and insights, and for her ability to provide the solutions to numerous quandaries. Long-term staff in particular attest to her integral part in establishing our convivial and supportive workplace culture. Anne, we will all miss you, and wish you all the best in your new role at Knox. From the staff of the Hocken Collections with all our best wishes. A very short post this time, you might like to listen to a podcast of Hocken Librarian, Sharon Dell, talking about the Hocken Collections with Emma Smith on Radio NZ Summernights. Here is the link. And here’s a picture of Sharon. Joanna Paul (1945-2003), M.G. 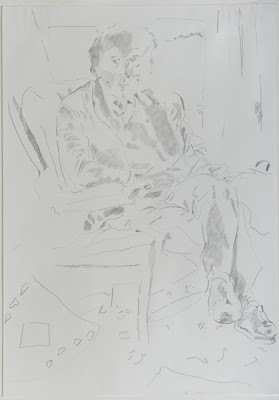 Hitchings, Hocken Librarian, 1965-84, March 1985, pencil on paper: 422 x 296mm, accession: 85/7, commissioned by the Hocken Library to appear on the cover of the 1984 Annual Report. Hocken staff were saddened to learn of Michael Hitchings’ death on Friday 19th March. We record our appreciation of his contribution as Hocken Librarian from 1965 to 1984 and his ongoing support of the Hocken. We join his family and friends in mourning his loss. The Hocken Library Annual report for 1984 published an appreciation of Michael’s work “RETIREMENT OF MICHAEL HITCHINGS. The retirement of Michael Hitchings on 30 June 1984 as Hocken Librarian marked the end of an era for the Library. His service was noted by the Hocken Library Committee at its meeting on 28 March 1984 in the following terms. “The Committee notes Mr Hitchings’ decision to retire at the end of June 1984 with regret that he will be leaving the position of Hocken Librarian and gratitude for his achievement in that position since April 1965. Mr Hitchings’ early career included meteorological work on Campbell Island before he became involved with research libraries in the field of New Zealand and Pacific studies. He worked briefly in the Library of the Auckland Institute and Museum, and from 1956 to 1965, with two interruptions, in the Alexander Turnbull Library; the interruptions were to take a Commonwealth Library Fellowship at LeHigh University, Pennsylvania, and to work as a New Zealand Government Historical Manuscripts Officer in London. From 1963 to 1965 he was Assistant Chief Librarian of the Alexander Turnbull Library. Mr Hitchings was therefore well prepared to take the post of Hocken Librarian in 1965. Dr Hocken’s original gift had by then been developed into a notable collection, thanks to the foresight and devotion of two University Librarians, Mr J. Harris and Mr F Rogers, and the careful work of Mrs G Strathern, who was appointed assistant in charge of the Hocken Library in 1952, and her assistant Mrs L. Rodda, but its potential as a resource for research in many fields relating to New Zealand and the Pacific was understood by few people. The growth of advanced studies and research had only just begun, and there was only limited appreciation of the value to a university of a research collection of this kind. It became Mr Hitchings’ task to build up the collections of the Hocken Library, to develop its services to scholarship, and to find, train and preside over the specialized staff that was needed. During his librarianship the collection has grown enormously. In his annual report for 1968 he said, “Total accessioned items now number 36,000, but the true holdings probably approach 40,000 for there are many unaccessioned volumes of newspapers, unbound periodicals and archives.” At the end of 1983, the number of “volumes in stock” totalled 131,000, and there were in addition 2587 metres of archives and manuscripts, 85,000 photographs, nearly 6,000 pictures, and many other items. This accumulation of material has been essential, if somewhat embarrassing. The use that it is put to by increasing numbers of scholars depends not only on its existence but also on the work of the Library’s staff in organizing it and helping readers to use it. The Hocken Library stands very high in the scholarly world, to the great credit of the University of Otago, and this is due to the hard work and professionalism and the scholarly understanding of Mr Hitchings and his staff. The achievements of the last nineteen years have not been gained without problems. The move to a new building, necessitated by the growth of the collection, was a difficult experience; and the services so avidly used have been provided under conditions of severe restraints on staffing. To a large extent, however, the Hocken Library’s problems have been caused by its success. 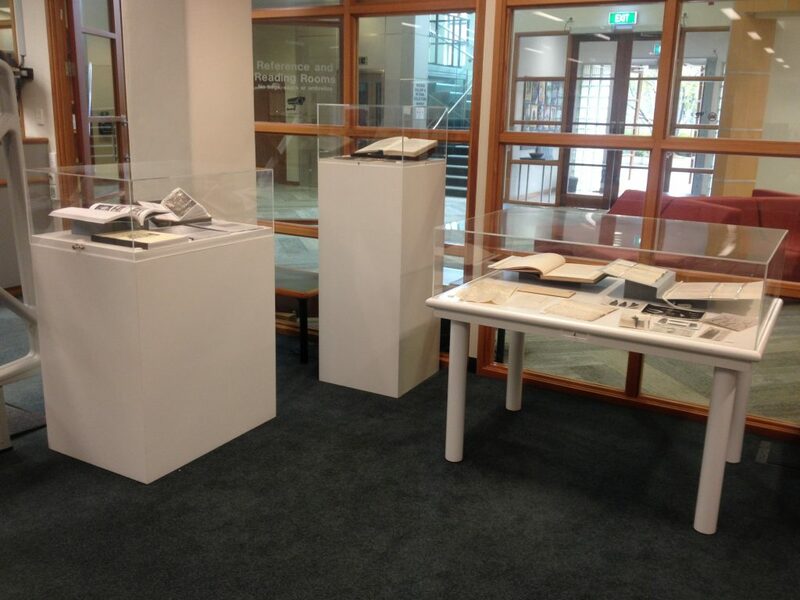 I left him content that he was aware of our appreciation and the importance of the enduring contribution he has made to Hocken’s collections and research into New Zealand’s creative life. Three Hocken Librarians at lunch: Sharon Dell, Michael Hitchings, Stuart Strachan, December 2009.